Pale yellow straw color. Floral, fruity aromas and flavors of honeysuckle and peony, peach pastry, fennel, and bark with a satiny, soft, fruity light-to-medium body and a smooth, delightful, breezy finish displaying notes of pear custard with soft, fruit tannins and no oak flavor. A fun, floral, fruity sipper. Bottom Line: A fun, floral, fruity sipper. 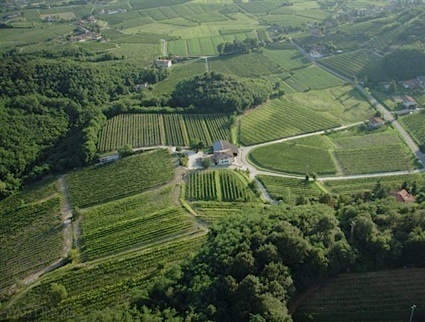 Muscat is a grape that is made into both dry as well as tantalizing sweet wines, most notably in France and Australia. Muscat is known elsewhere, most notably in Italy as Moscato. Muscat is grown in Alsace, France where it is dry, while in the Rhone Valley further south, Beaumes-de-Venise, is a glorious naturally sweet dessert wine. An entirely different style of Muscat is Rutherglen Muscat from Australia, a rich, amber colored, still dessert wine. Muscat is also produced in small quantities in the US. Austria and Portugal. Each style of Muscat offers exotic aromas of orange blossom, peach, apricot and orange roses to name only a few obvious descriptors. Lighter versions of dry Muscat from Alsace are ideal with spicy fare, such as Thai cuisine. The richer, more lush styles, such as Rutherglen are perfect with peach or plum pudding or even with vanilla ice cream. Enjoy the wines from one to three years after the vintage date in most cases, though Beaumes-de-Venise can be appreciated for up to a decade. 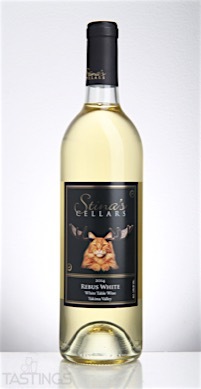 Stina’s Cellars 2014 Rebus White, Yakima Valley rating was calculated by tastings.com to be 88 points out of 100 on 12/13/2016. Please note that MSRP may have changed since the date of our review.